Explicit GeekSet: Episode 12: Oh Boy! 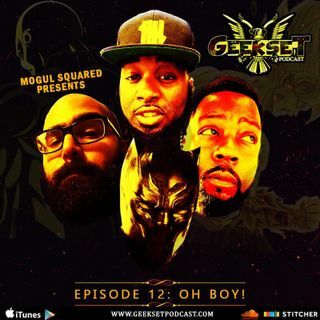 The Geekset Crew is back discussing their February LIVE events, Mighty Con, Anime-Con MKE, Dragon Ball Super, Ending theories, Black Panther's continuous reign supreme, and classic Anime's. What anime should Geekset Podcast focus on no that DBS is ending?